Great Lakes Solar Technology Park Breaks Ground! 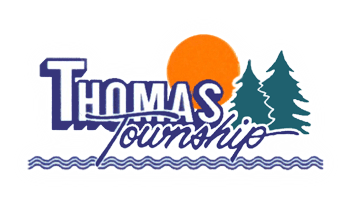 THOMAS TOWNSHIP — Saginaw Future, the Great Lakes Bay Region and the Michigan Economic Development Corporation recently celebrated the groundbreaking of the Great Lakes Solar Technology Park. Local leaders and economic developers worked with the State of Michigan to develop the 231-acre Solar Technology Park with parcels potentially available for no cost. Tax incentives and development assistance are also available. Strategically located within a mile of Hemlock Semiconductor, opportunities for collaboration and solar supply chain development are boundless. The Solar Technology Park is located at 705 N. Graham Rd. (M-52) just northwest of the M-46 and M-52 intersection, 12 miles from I-75, 13.5 miles from MBS International Airport and will soon have complete infrastructure in place. The Park has the potential to locate up to six solar manufacturing facilities that would create hundreds of direct and indirect jobs, along with millions of dollars in new investment and new tax base. “A tremendous amount of thanks goes to the people who made this project possible. The Great Lakes Solar Technology Park will not only benefit Thomas Township, but all of Saginaw County, the Great Lakes Bay Region and the State of Michigan,” said Thomas Township Manager Russell Taylor. Established in 1992, Saginaw Future (SF) is a public-private alliance of local businesses, the County of Saginaw, City of Saginaw, 16 local municipalities and the Saginaw County Chamber of Commerce. SF’s strategic partners also include education, labor and government. Since its beginning, SF has remained dedicated to fostering quality job creation through expansion of local industry and attraction of new business projects to the community.